Today is our big guy's first official day of Junior Kindergarten. How did that happen? What a big boy! The only tears were from me. He seemed so big this morning when he was eating his breakfast at the table next to his baby brother, yet so small when he blew me a kiss and walked through the big school doors that closed behind him and my heart sank. And so, a new journey begins. 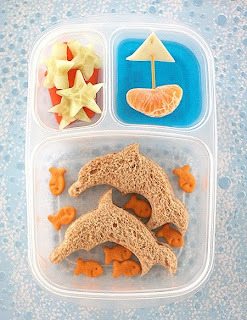 With the start of school, comes the start of making lunches for.many.years.to.come! We all find ourselves halfway through the day thinking..."what am I going to make for dinner?" and trying to think up creative ideas instead of the same ole options. 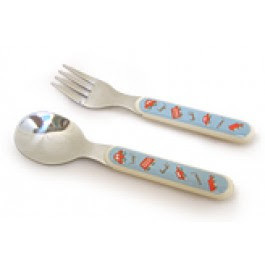 School lunches often have the same feeling and its tougher if you have a picky eater. My big guy is one of those picky eaters. 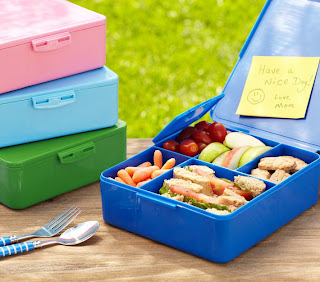 My big guy has been going to daycare for the past two weeks so here are my two weeks of lunch ideas but I would LOVE to hear from you in the comments with your ideas (especially if you aren't just starting out making school lunches for your little guys). Long gone are the days where kids carried their lunches in paper bags. 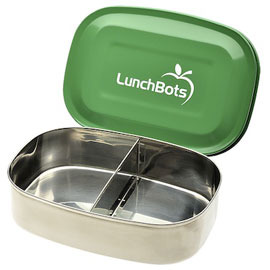 Now there are a zillion options to keep your kids lunches cold, hot and not squished. 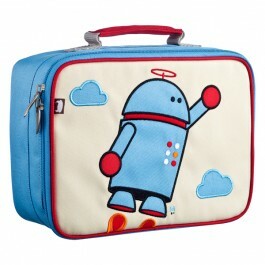 You need something that can fit in their backpacks or has a little handle on it that they can carry in hand. This is what our big guy's lunch goes in. You can order at Raspberry Kids but I got mine on Bank Street in the Glebe at Ready.Set.Go. I really like that the bag is machine washable! When I was a kid, everyone had juice packs. Now in the classrooms, juice packs are few to be seen. With schools trying to be garbage free, most kids carry their water bottle everywhere and likely its filled with water. 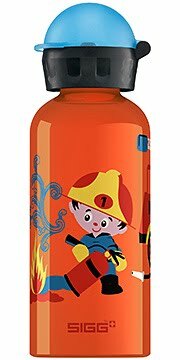 Also, with the BPA scare, parents are opting to give their little ones stainless steel or glass (no so practical) water bottles. You can find some super cute ones out there. SIGG makes great ones! Again, with the BPA worry, parents are opting to pack their kid's lunches in something other than cheap throw away containers. I'm a fan of glass but honestly, if I packed everything in glass containers our big guys bag would way a ton! My friend Suzanne found some snazzy silicone containers at Winners that are also collapsable which are great. I found some BPA free plastic containers at Winners that come with little freezer packs that clip into the lids. Perfecto! Honestly, Winners and Homesense have lots of container options!! These containers also have cool skateboarders on it so my big guy thinks their super cool. Bonus! Sandwiches....my dad makes the BEST sandwiches. We always had yummy sandwiches at school but with my picky eater, my sandwich options seem to be slim. Cheese sandwich, cheese and ham, cheese with super peppers etc. Sometimes I swich up the bread for a wrap but I would love to hear your ideas for sandwiches. Due to so many allergies, the days where you could whip up a peanut butter and jam sandwich are gone! 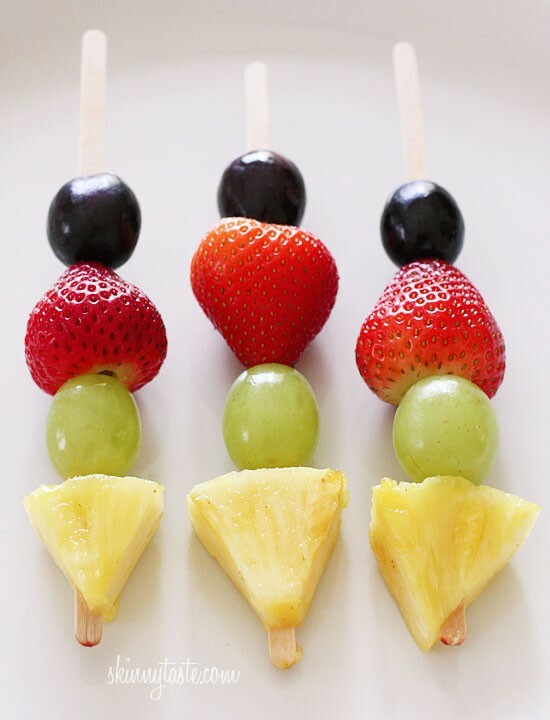 One thing I've started to do is make lunch skewers...they're fun and you may get your kids to try new things if they're on a cool stick. You could mx and match veggies, fruit, meat etc. super peppers (all different colours), carrots and tofu veggie burger...all chopped up super teeny tiny. Add it to some noodles with shredded cheese over it to melt. Its a winner in our house. •Try thin breads, wraps, pitas, english muffins or mini bagels instead of plain old bread. If using bread, choose 100 precent whole grain. •Substitute chips for veggie chips, goldfish crackers, whole grain crackers, pretzels, mini rice cakes or pita chips. •Even better, use bite size veggies for crunch factor. A little sour cream and ranch seasoning. Everyday my mum would write my brother and I a "love" note in our lunches. So, I've started to do it too. It literally takes seconds to do but its so worth it and will make your kid's feel warm and fuzzy. You can use little pieces of paper or post-it notes. I keep little recipe cards in my top drawer with a few markers and stickers. Everyday your write a small note to your little one. Today mine said...WOW what a big boy you are! Have a great 1st day at school. I'll be thinking of you all day. I love you. Love, Mummy. I added a couple little stickers and VOILA...a LOVE NOTE. 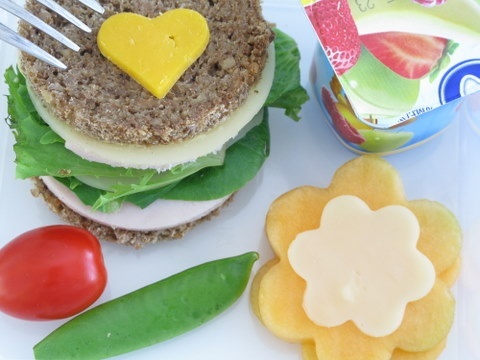 I hope this has given you some ideas for school lunches and would love to hear your ideas! !